An exciting description of the call of Abram from Ur of the Chaldees is recorded in the book of the prophet Isaiah: “Who raised up the righteous man from the east, called him to his foot, gave the nations before him, and made him rule over kings? He gave them as the dust to his sword, and as driven stubble to his bow. He pursued them, and passed safely; even by the way that he had not gone with his feet. Who hath wrought and done it, calling the generations from the beginning? I the Lord, the first, and with the last; I am he” (Isaiah 41:2-4). The purpose behind the well-known events of Genesis 12 is explained here in detail. Think about it! Abraham was a righteous man. Here we need to pause and remind ourselves that his forefathers were worshippers of idols as, sadly, were some of his descendants. How did he come to know sufficient of our God to have confidence to travel at His behest to an unknown country? We do not know. Suffice it to say that he did. Next the verses in Isaiah point out that indeed “ He gave nations before him”. So he did, but not for many months, or even years, after his departure from his Chaldean homeland. Why is this given so much prominence by the prophet? I believe it is in order to point out that the events subsequently recorded in Genesis 14 are a foreshadowing of the work that God’s later man from the east will fulfill when he comes in Glory, with similar miraculous power over the surrounding nations, to rescue his ‘relatives’ (in Abraham’s case his nephew Lot, but in Jesus Christ’s case the Jewish nation), from the desperate trouble and persecution in which they find themselves. Then, just as Abraham brought back Lot and all the possessions, and the scene then changed to a meeting with the great priest Melchizedec, so will Jesus bring his Jewish relatives into the presence of the true worship and priesthood which they have rejected for so many centuries. “ Calling the generations from the beginning”, with which verse 4 ends, is a fascinating concept. It reminds us that in Abraham, God commenced His great ‘Promises’ and began taking out of the nations a people for His Name. This was first established in the sons of Abraham, Isaac and Jacob but magnified and extended in those who become God’s people in Christ Jesus, Abraham’s greatest Son. So, in God’s summary of the purpose behind His call of ‘the righteous man from the east’ we see not only the way in which he would overcome the surrounding nations at a time of general conflict in the area, but a vision of the work of the Lord Jesus Christ in responding to the latter day plea of the nation who will experience a “day of trouble such as never was before”. Abraham and his trained servants (verse 14) born in his own house, 318 of them, pursued the invading forces. We come across the equivalent word for “trained” in Paul’s second letter to Timothy 3:16; it is the word ‘instruction’, and it refers to ‘righteousness’. So we are being told that Abraham’s servants were instructed in righteousness. Of course they were! God was aware that this man would teach his family and his household the ways of truth. Once again we have a likeness with the work of the Lord Jesus Christ who also requires his servants to be ‘trained’ or ‘instructed’ in righteousness. 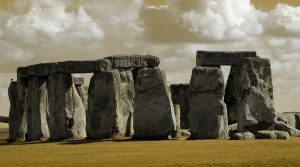 A further interesting reflection on the event that mentions ‘servants’ has to do with the number of servants involved – 318. Is it coincidence that this number is the exact numerical value of the word ‘Eliezer’ – all Hebrew letters also represent numbers)? Eliezer (literally, ‘my God is help’), was Abraham’s chief servant, born in his own house (see Genesis 15:2 and 24v2). It is not necessarily so that only Abraham and Eliezer went ‘to the rescue’, but it would be no more or less of a miracle if they did. (I am not unaware that at least three others travelled with Abraham, but they could not be classed as ‘servants born in Abraham’s house’ – Genesis 14:13,14). 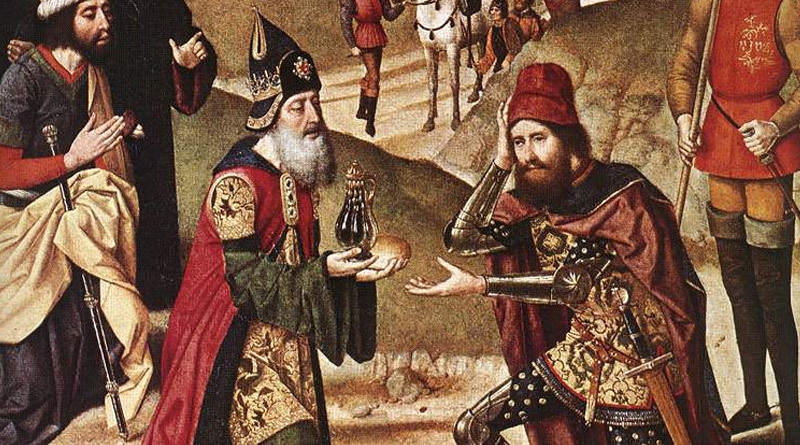 Upon his return from “the slaughter of the kings”, Abraham met Melchizedec – or rather, Melchizedec met Abraham (Hebrews 7:1). This then was no accidental meeting. The priest met the man of faith in order to bless him. This would seem to put Melchizedec, about whom we know very little, in a position superior to Abraham (‘for truly the lesser is blessed of the greater’ – see verse 7). The chapter before us invites us to interpret what we read, going on to indicate the direction in which our ‘interpretation’ should go: “ This Melchizedec … is made like unto the Son of God” (verse 3). So our study in Genesis 14 not only leads us to a consideration of the latter day events that involve the restoration of Abraham’s natural family, pointing us towards the Lord Jesus Christ, but it also invites us to see in the presentation of Melchizedec the significance of the priesthood of the Lord Jesus too! And this is not only in the everlasting nature of the priesthood, but also in the suitability of the priest. Let me try to explain: look again at Hebrews 7:3-6. Here we are told that there is no recorded genealogy of Melchizedec, or, as verse 6 puts it (my correction of punctuation) “his genealogy is not counted, from them received tithes” There needs to be a comma after the word ‘counted’ in this sentence to separate it from the words that follow. We are not being told that Melchizedec’s genealogy is not counted from Levi … that is obvious! He was many decades earlier. We are being told that his genealogy was not recorded at all! Why not? Because his priesthood did not depend on his ancestry or his progeny! 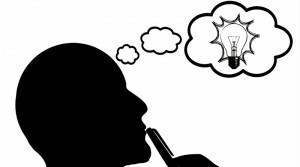 His priesthood was dependent on ‘who’ he was – not ‘what’ he was! And so it was with the Lord Jesus Christ! 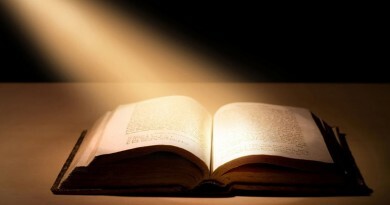 As the writer to the Hebrews has carefully explained in the preceding chapters, he is a suitable High Priest because of his experiences: “ For in that he himself hath suffered being tempted, he is able to succour them that are tempted” (Hebrews 2:18). The wonderful conclusion to the events of Genesis chapter 14 is that a memorial service takes place. This reflects the memorial service that will take place when the Melchizedec High Priest (Jesus) eats and drinks anew with his spiritual Abrahamic family in his Father’s Kingdom. 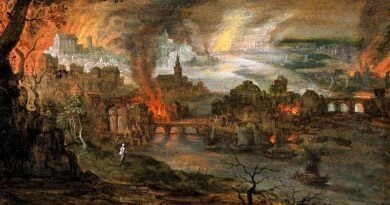 Like Abraham they will have rejected all worldly aspirations, knowing that all that is summarized in what the King of Sodom represents is as nothing compared with that which is offered by ‘our Shield and exceeding great reward’ (see Genesis 15:1). We may be surprised at the events recorded in Genesis chapter 16, but Abraham (as I will continue to call him) was as human as you and me. So was Sarah. It is easy to criticize others, but we would probably have taken a similar course ourselves. Abraham and Sarah so strongly believed God that they wished to make sure of the promise by assisting their Heavenly Father to fulfill it! No need of course; but note that God does not condemn them. Certainly, they had to live with the consequences, as did their descendents, but a blessing was in store for Hagar’s son just because he was born of this righteous man from the east. We may not have considered that a ‘covenant’ was made with Abraham in respect of Ishmael, but the Apostle Paul (Galatians 4) informs us differently. It was not the covenant, but it was a blessing nevertheless that came by a covenant. This means that Abraham understood the difference, and agreed to it, for a covenant requires the agreement of two parties. Have you noticed that the covenant of circumcision, as opposed to the covenant of promise, applies to Abraham and to all his descendents? 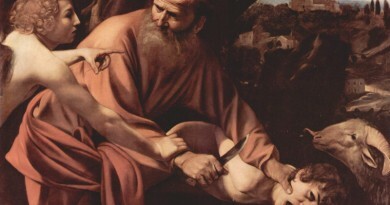 It is clear from the writings of the Apostle Paul that the significance of circumcision was immense! BUT – see Romans chapter 4 – it was not essential for salvation nor was it the basis of the covenant that did promise salvation! It was “ a seal of the righteousness of the faith which he had yet being uncircumcised” (verse 11). Lastly in this section, I want to refer back to Genesis 15. 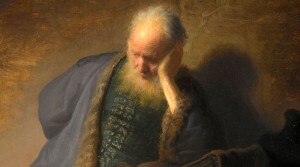 Notice that after the events dealt with in earlier, Abraham is rather depressed about his childless state. God refers to the stars and asks him to look toward heaven. 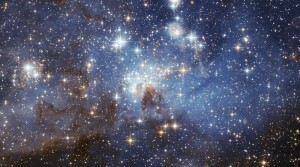 God told him that his descendents would be as numerous as the stars, and Abraham believed Him! But how could he possibly see the stars? It was daylight! He had to wait till evening for the sun to go down (verse 12)! Abraham had to believe in something which he could not see! – a range of descendents of which he had not yet received the first one – and he did believe! No wonder God imputed this to him for righteousness! It was after this confession of faith that the two-part covenant was sealed, as a lamp passed between the pieces of the prepared offering and God outlined the extent of the land that would be his. Here we move forward to Genesis 22 and meet with the very first appearance of the word ‘love’. The word enters the scriptures as a description of the feeling of a father towards his son, his special son, born by a miracle. Familiar? Of course it is! So we should expect to be guided towards a consideration of the work that ‘The Father’ accomplished through the love that he had for His ‘Only begotten Son’ and for those whom He would redeem through him. And that is exactly what we get. It is a worthwhile exercise to study the first occurrence of special words in the Bible. Try it with ‘priest’ or ‘righteousness’. In the first appearance of a word we seem to have a cameo picture of the fullest concept of that word and all of its associations. Here, in Genesis chapter 22, we obviously have a foreshadowing of the offering of God’s Son, and of his willingness to accept his Father’s will. Or again, notice the confidence on the Father’s part that both would come again. Abraham himself “accounting that God was able to raise him up, even from the dead” (Hebrews 11:9). His faith was not misplaced! It is noticeable that Isaac carried the wood. 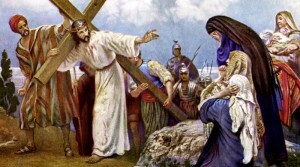 We are reminded here of the Lord Jesus Christ carrying the cross. Not only so, but this meant that Abraham carried the fire and the knife. The life of the son was under the control of the Father. What a comfort this would have been to the Lord when, many centuries later, he read it and understood! I have always wondered at the significance of the ram being caught in a thicket. Is there an indication here of the curse into which our first parents took us? Thorns? It is certainly true that the Lord had to be of our nature and living under the same curse if he was to redeem us from it! A well-beloved brother, now long fallen asleep, used to remind me that it was at this point in Abraham’s life that the promises became unconditional. I think he was right. Certainly in all that is represented in this great act of love, the promises to Abraham were made certain to all who associated themselves with them. It is apt then, that the assurance to Abraham should have also been made unconditional through the love and faith associated with the offering of his son. Genesis 24 introduces us to the next appearance of Isaac in the Divine record. How significant this is. The son appears in the text for his offering, and the next time we meet him is at his marriage supper! His bride is carefully selected, through an oath entered into by the father and the servant, and she is brought, by freewill, into the presence of the son. She is purchased with precious things provided by the father, and when she meets Isaac she is taken into his mother’s tent (compare Song of Solomon 3:4). Here we see that the bride, in the presence of the son, being married to him, is brought into the fullness of the means whereby the promises to Abraham were fulfilled.